Imagine that you’re walking into a room for the first time. 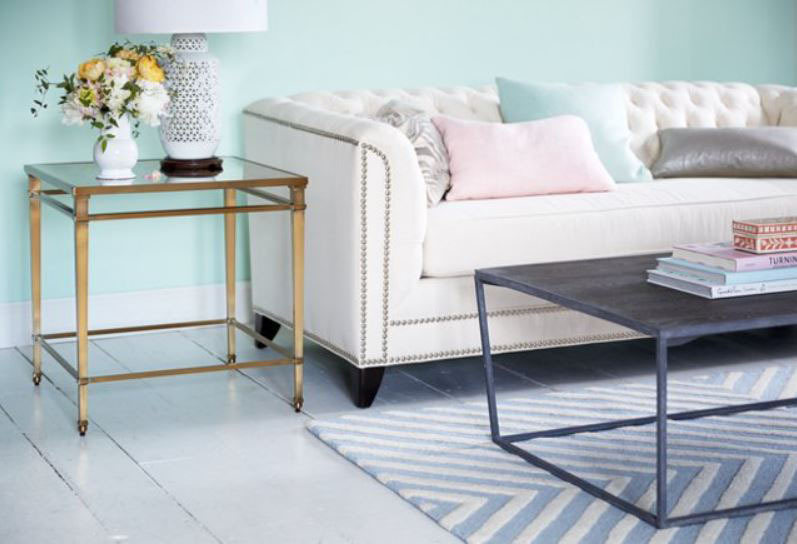 You have an interest in furnishings and interior design, so naturally the first thing you’re going to do is examine the elements that make up the room’s composition. From a glance, you can tell that there was thought and care put into the layout of the space. The accoutrements and furniture work wonderfully together. The fabrics are vibrant and sumptuous. The designs employed are eye-catching and tasteful. The obvious way to create a room that looks like it cost a ton of money is to spend a ton of money to do so. The problem with that, however, is two-fold. For one, you may not have limitless resources to furnish a new room or complete a remodeling project as extravagantly as you’d like. Secondly, an item is not necessarily tasteful just because it’s expensive. There are hallmarks of designs that look expensive regardless of how much they actually cost. Below, we’ve included a few ways for you to achieve those hallmarks while avoiding gaudiness and remaining mindful of your expenses. Use luxurious fabrics for the pillows and really go for the splurge. To leverage the expense, you can use the pricey fabric on the front and a solid durable on the back. See for yourself how stunning our Andrew Day Chaise looks when paired with pillows designed in this style. Use quality upholstery. Bias cut welts along the cushions will make your cushion edges crisp and straight so they are not wavy. Seats should be supported by eight-way, hand-tied coils so the cushions don’t sag and dip in the middle. Seat cushions should be luxury spring down with a coil in the center to make sure you don’t have seat imprints. Print upholstery should have the pattern match and be centered in the middle. Our Chip Chesterfield sofa is a perfect example of how quality upholstery can add a touch of elegance to a classic design. Add quality pinch pleat curtains. Install them at ceiling height or just under the crown molding to add drama and volume. Here we see a pattern leant to pinch pleat curtains matching that of our Rosemary Host Chair while also complementing the contrasting colors of our Heather Lounge and our Lois Sectional. Add fresh flowers or greenery. They don’t have to be expensive. Just get a big bunch of one bloom. Trader Joe’s Peonies are always a hit. 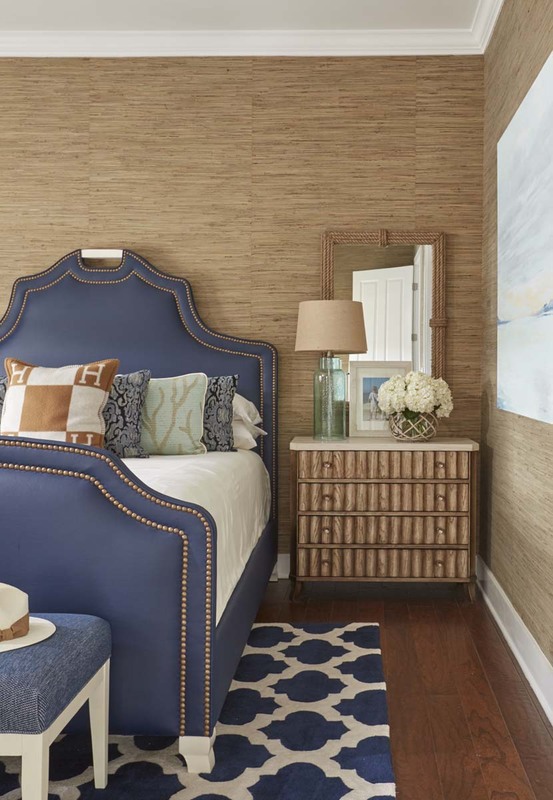 The blooms in the picture below do a great deal to enhance the clean, beachy style established by our Grace Bed and Dune Bench. Add large scale original art. Though you don’t have to go to an expensive gallery, many can surprise you with great price points on their pieces. Etsy is a fabulous resource for huge pieces that are original. Some you can even custom commission. No matter what you go with, be sure that its composition complements that of the furniture it’s being hung above or by. 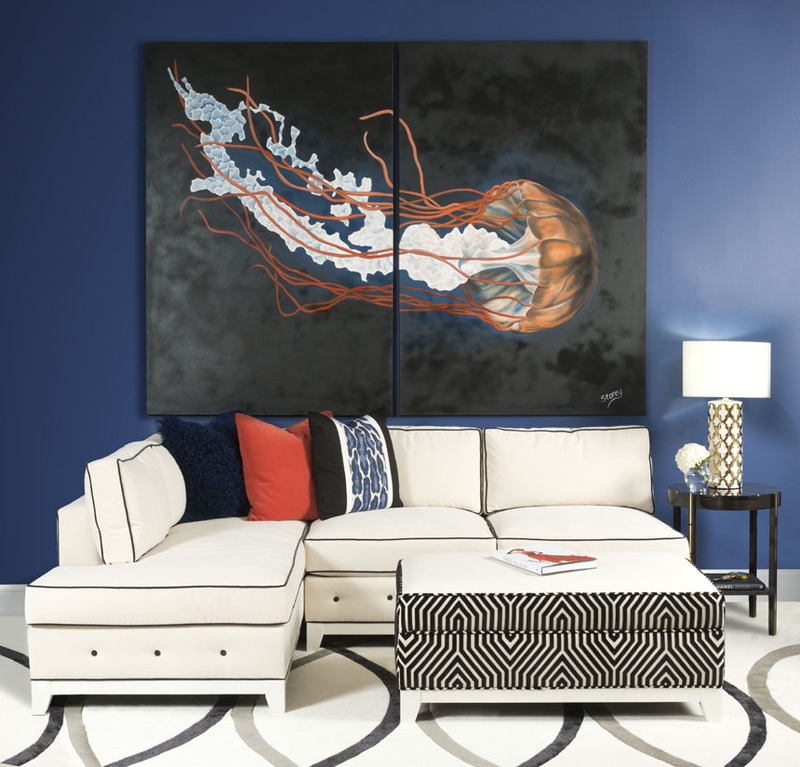 The crisp white fabric of our Reagan Sectional, for example, works in tandem with the colors of its pillows to bring out the hues of the artwork it’s been paired with. As you can see, cost is not a major factor in most of the elements that make up what we think of as “expensive” design. We think “expensive” when we see a room that’s well put together because it’s natural to assume that it must cost a great deal to create a beautifully designed space. If it didn’t, then anyone could do it, right? Well, that’s the secret. Anyone can do it. More important than how much you spend is whether you purchase quality materials and apply creativity in your design choices. 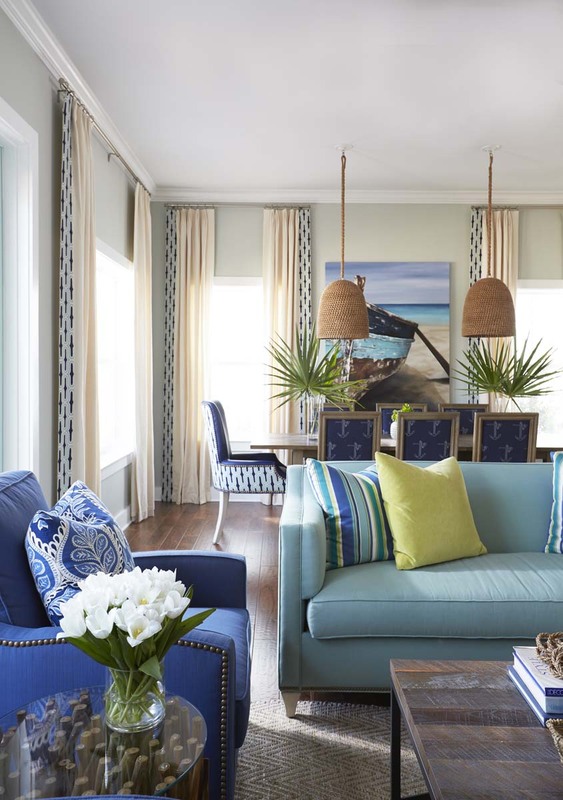 Employing care in selecting fabrics, furnishings and decorations that speak to your personal creative vision will result in a room that looks worlds more elegant than if you had simply thrown a bunch of money around and hoped for the best. Interested in learning more about how to bring your design ideas to life? Visit our blog for more style tips and information on the latest furnishing trends.